Investors may be betting on marijuana in all the wrong places. Enthusiasm for pot stocks reached a fever pitch last week when investors piled into British Columbia-based Tilray Inc., a developer of cannabis medicinal products, doubling its stock price over three trading days through Wednesday. Volume for Tilray’s stock had averaged 7 million shares a day since it went public on July 18. Last week, that average spiked to 20 million. 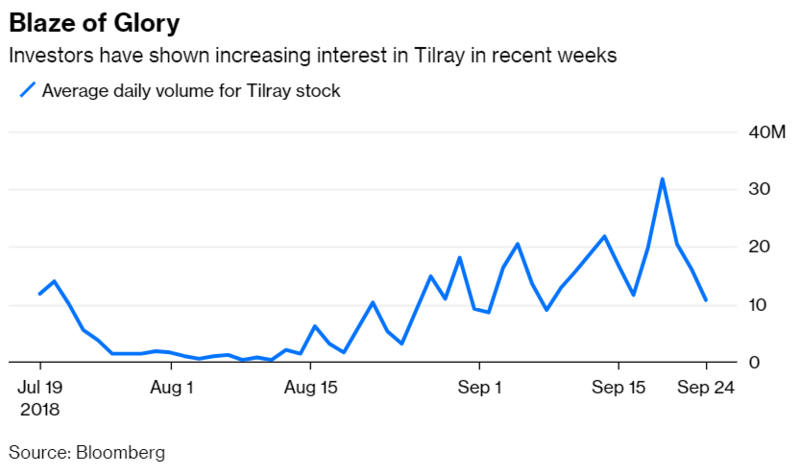 Investors were already plenty high on pot stocks before Tilray came along. Three of the biggest by market value, Toronto-based Cronos Group Inc., Vancouver-based Aurora Cannabis Inc. and Ontario-based Canopy Growth Corp., are hugely expensive. None are profitable, but their average price-to-sales ratio based on expected revenue for the 2018 fiscal year is a stunning 185, or 50 times that of the S&P 500 Growth Index’s P/S ratio of 3.6. Tilray is just the latest high-priced wager on a burgeoning marijuana business. Even after its stock dropped by 43 percent on Thursday and Friday last week, its P/S ratio is a lofty 234 based on expected revenue for 2018. Many observers are already calling pot stocks a bubble, which isn’t unfair. Consider that at the height of the dot-com bubble in December 1999, 106 technology stocks in the Russell 3000 Index had a market capitalization of $1 billion to $15 billion, roughly the range of the biggest pot stocks. Many of those tech firms weren’t profitable, either, but they were far cheaper by comparison. Their average P/S ratio at the time was 13, with a median of 5.8. The four most expensive of the bunch had an average P/S ratio of 81 — a bargain in potlandia. Enthusiasts no doubt expect that sales will catch up with stock prices, and Wall Street seems to agree. Analysts expect revenues for Tilray, Cronos, Aurora and Canopy to grow by an average of 304 percent in fiscal year 2018 and 389 percent in 2019. Aurora’s stock jumped 41 percent last week on the Coke news, but it’s far from clear how much the budding pot company would benefit from the venture. Between the two companies, Coke is the indispensable one. 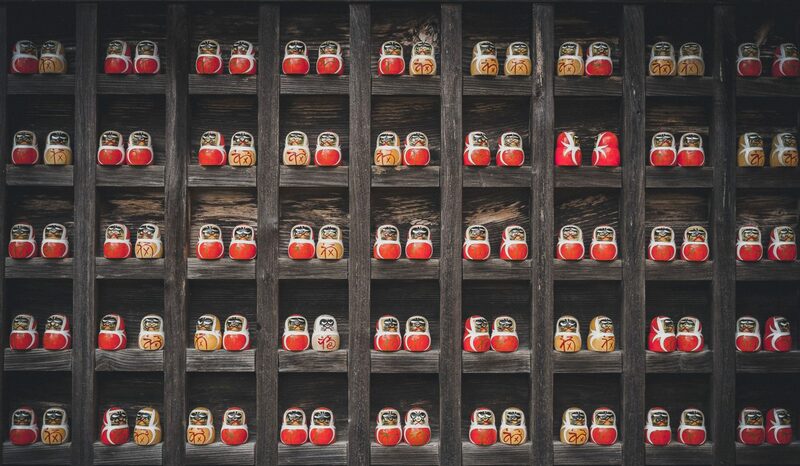 Few firms match its global brand and its ability to make and distribute products on a grand scale. It also has no shortage of potential partners, including the option of hiring a team to develop products in-house. The majority of the spoils would most likely accrue to Coke, given its leverage. Competition may come from other behemoths, too. BNN Bloomberg TV reported last month that Diageo Plc was in talks with unidentified Canadian cannabis producers about launching its own marijuana-infused beverages. Constellation Brands Inc., best known in the U.S. for Robert Mondavi wines, Svedka vodka and Corona, already has a stake in Canopy worth roughly $4 billion. And let’s not forget the other possible entrants. 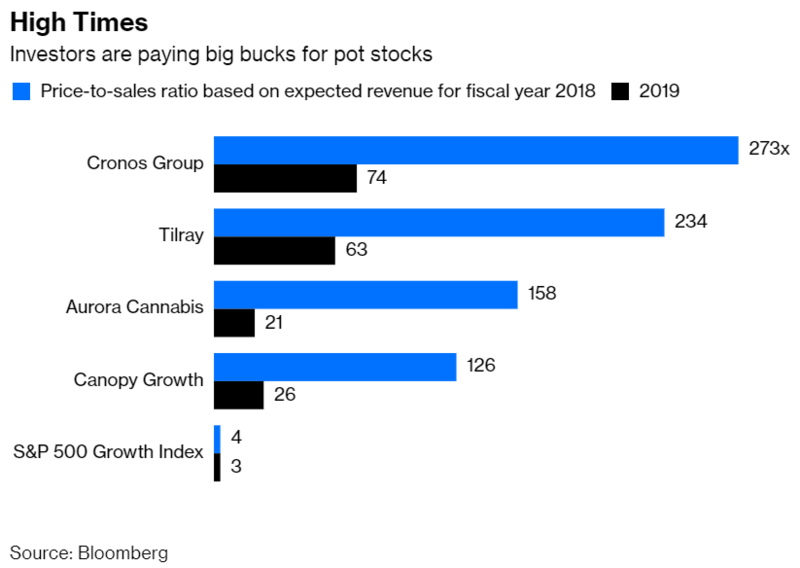 As my Bloomberg Opinion colleague Tara Lachapelle pointed out two years ago, tobacco companies such as Altria Group Inc. and Reynolds American Inc. are naturally suited to be big players in the marijuana market. Neither company has made any noise about its plans, but with tobacco use in decline, there’s a good chance those companies are looking for a new cash crop. Ten years since the last bear market, blue-chip stocks are no bargains, either. But they’re a far cheaper wager on cannabis. Altria’s P/S ratio is 6 and Reynolds’s is 6.4. Coke and Constellation’s are 5.9 and 3.9, respectively. It’s clear that marijuana will be big business. There’s little doubt about its popularity, and legalization is only a matter of time in much of the world, including the U.S. It’s also clear that some companies will make a fortune. They just may not be the startups that are making all the headlines now. Next PostNext Investors Are Supposed to Be Rewarded for Risk, Right?